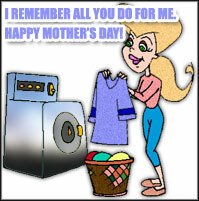 Don't forget mom on her day. Not that we ever would, mom is everything to us. Say Happy Mothers Day with hearts and flowers. 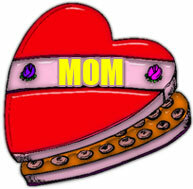 Happy Mothers Day with heart balloons. Happy Mother's Day with Violet. Happy Mother's Day with hearts. Mother's Day sign with flower. 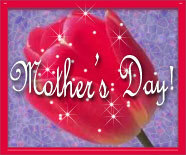 Mothers Day sign with red rose. Mother's Day, yellow rose, star animation. 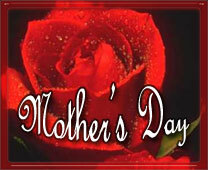 Luv You Mom with a red rose. Mother's Day rose with stars. 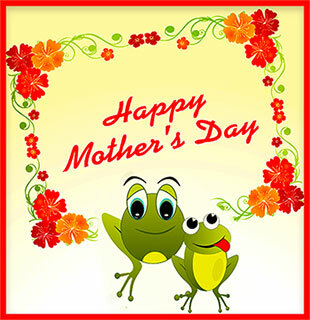 Happy Mother's Day with flowers and frogs. Mothers Day field of roses animated. 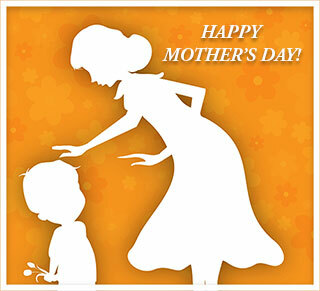 Mom - Happy Mother's Day from flowers. Happy Mother's Day with a single rose. I Love Mom animation with hearts. Happy Mother's Day with animated confetti. Mothers Day chocolates for Mom. Happy Mother's Day with a mother and her child. Don't forget all the little but important things. Good morning mom with animation and flowers. Flower gift for mom on a Happy Mother's Day. Happy Mother's Day with glitter animation plus a butterfly. Teddy bear with heart for Mom. Red rose for mom with glitter animation. Happy Mother's Day flowers with glitter. 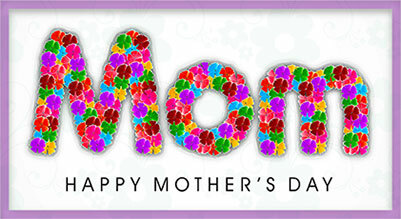 Happy Mother's Day with purple flower and animation. A vase full of flowers with card that reads Happy Mother's Day. These flowers are for you. Luv You Mom! 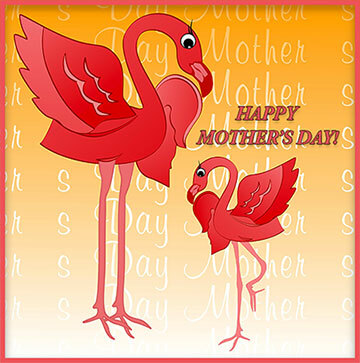 Free Mother's Day clipart, Mother's Day flowers, hearts, happy mothers day, graphics, Mothers Day Gifs.